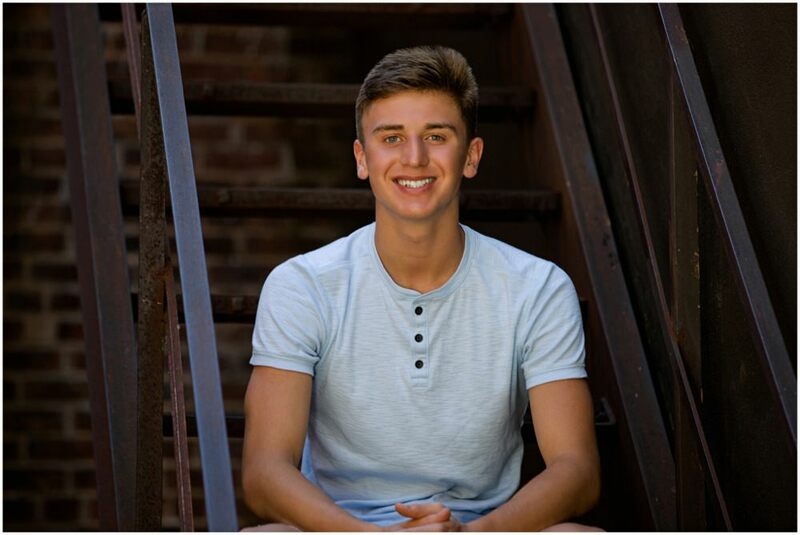 Today’s featured senior is Clayton! 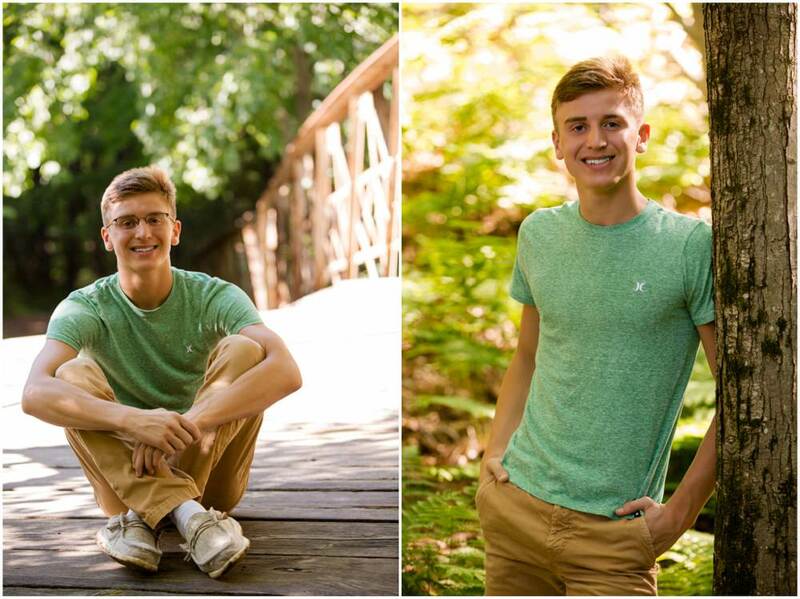 I met up with Clayton over the summer to capture his senior portrait session in Irvine Park in Chippewa Falls. 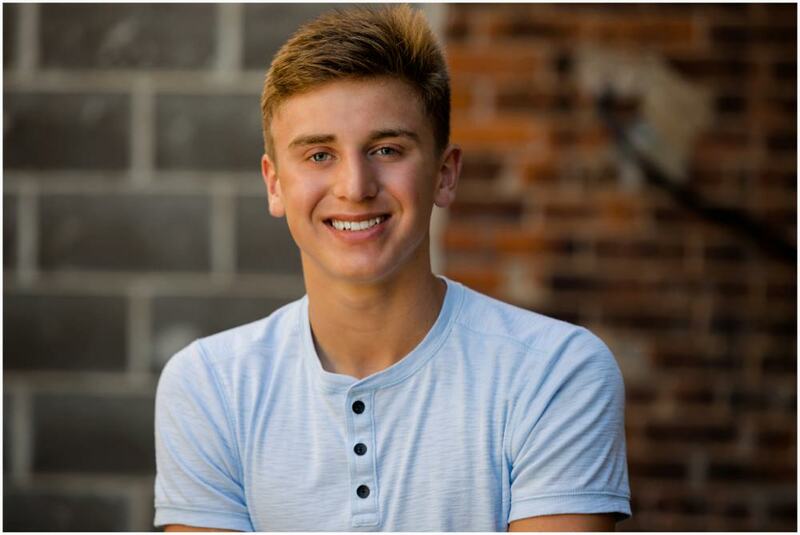 Clayton says the most enjoyable part of high school was making memories with all his friends in the sports he plays. 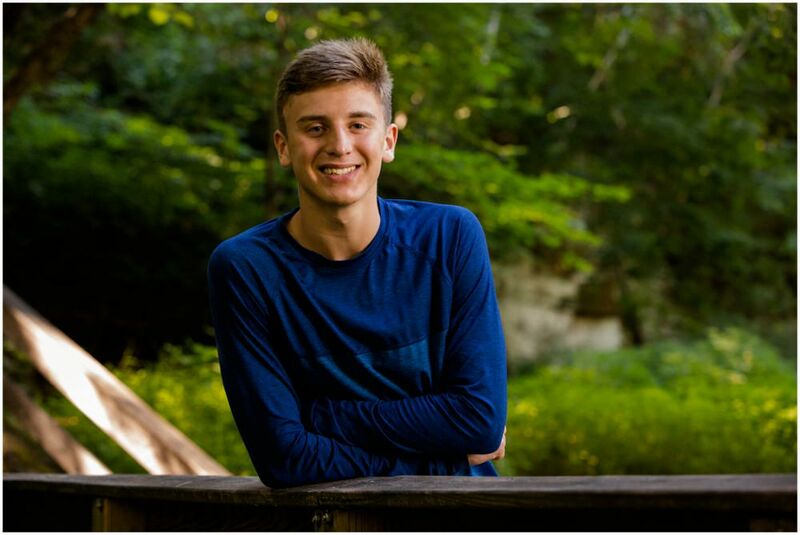 Through the different sports teams and sporting events he’s been part of through his high school career, he’s had the opportunity to meet new people and make amazing memories. He said that was a rewarding and enjoyable experience. Growing up, he wanted to be an architect because building things and designing things captivated his interest. He called it a form of art that is displayed to anyone who even walks by! 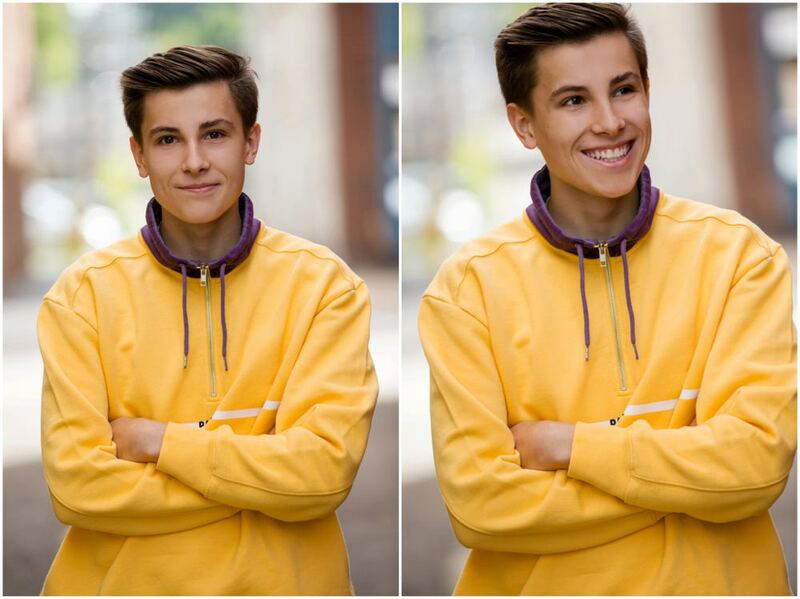 Now, he plans to be a financial advisor to help other people be responsible with their money to have a better life. I think that’s such a worthy and admirable goal! 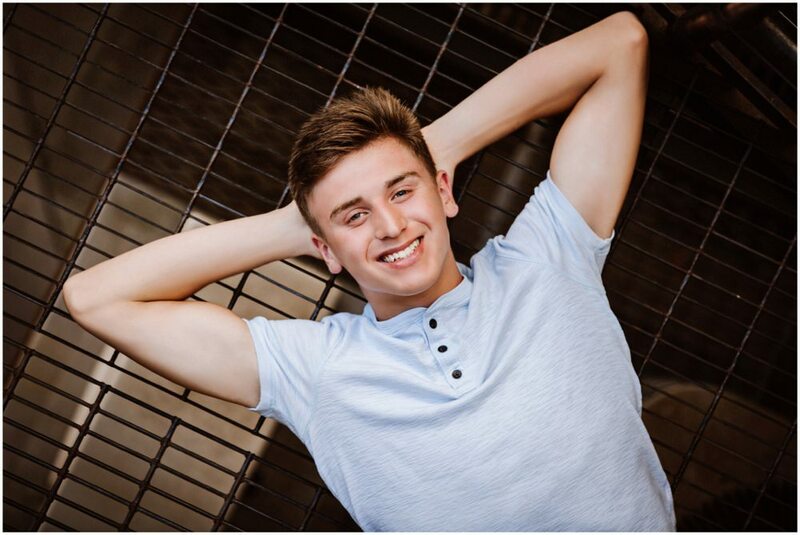 While he hasn’t if he will be attending college in Madison or La Crosse, with that outlook I am sure Clayton will be successful! 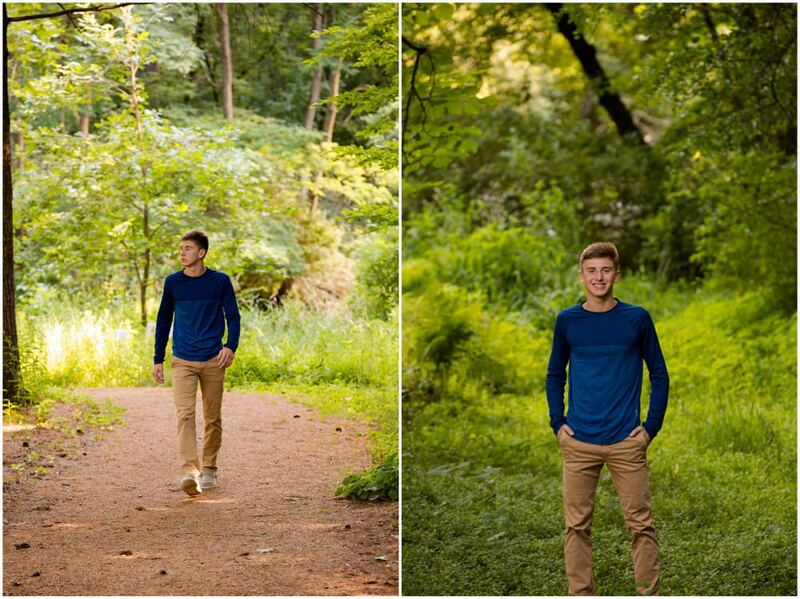 Clayton was awesome to hang out with during his senior portrait session. We jammed out to some tunes during his session. I have to say, Clayton has some great style! 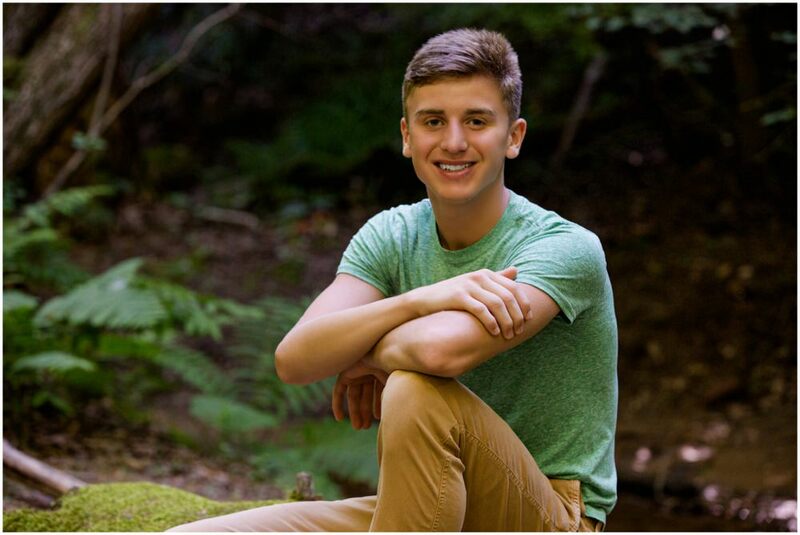 He was up for having some fun which allowed me to be more creative with his senior photography. We hit up some locations I’ve never photographed before! 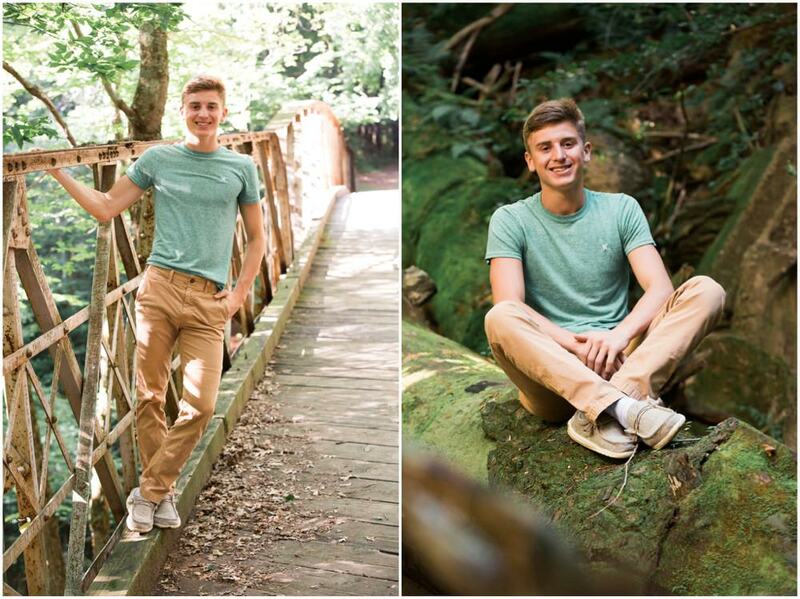 Clayton was a big help in finding different backgrounds in the forest at Irvine. It was an adventure that we took together and I had a blast with him. In fact, Clayton told me that he has even more ideas for portraits now, if he had the opportunity to have another session. 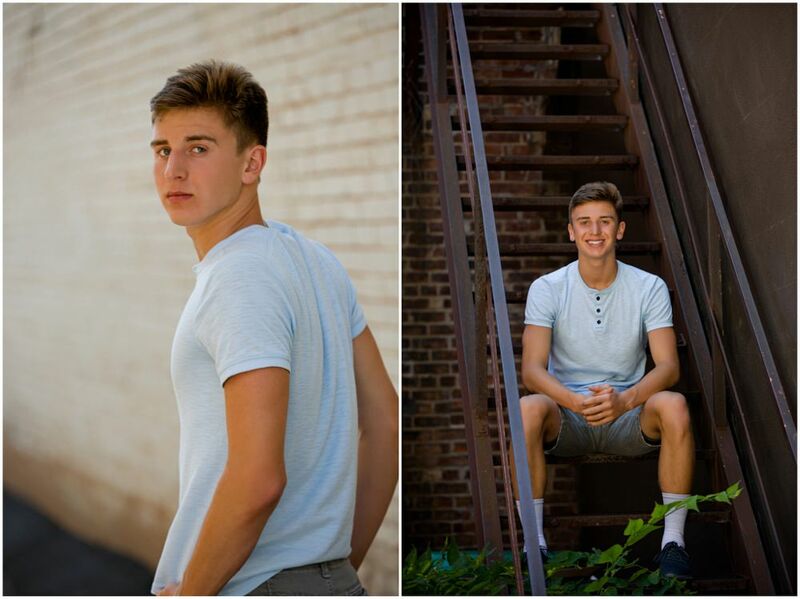 I love when senior portrait sessions are a fun experience! 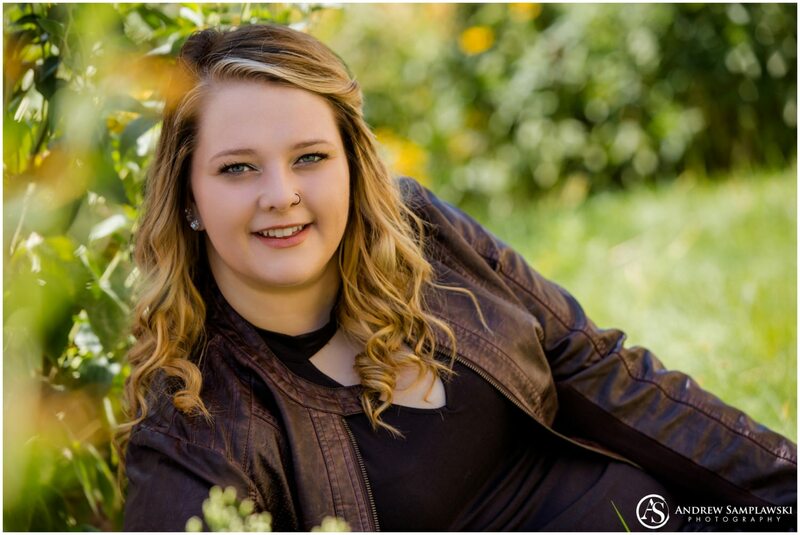 It means I’m doing a good job at being a senior photographer! 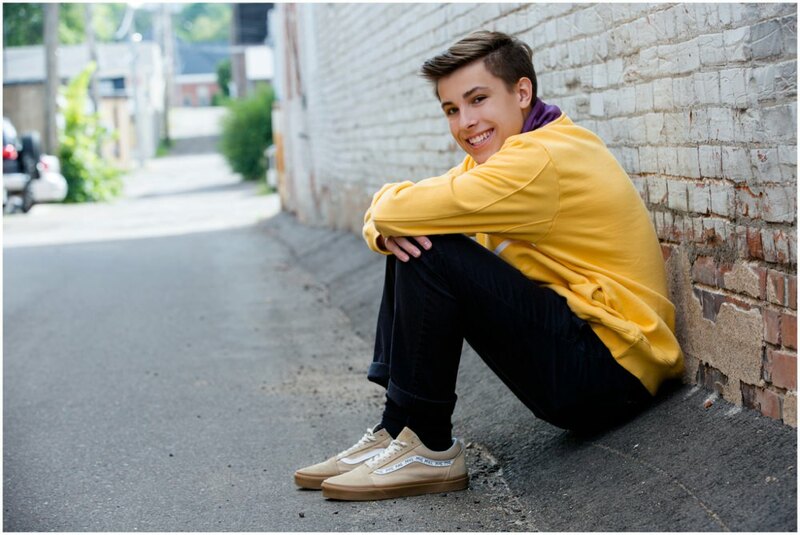 Clayton, thanks for asking me to photograph your senior portrait session! I had a blast adventuring in the woods at Irvine Park and I hope we can do it again someday! 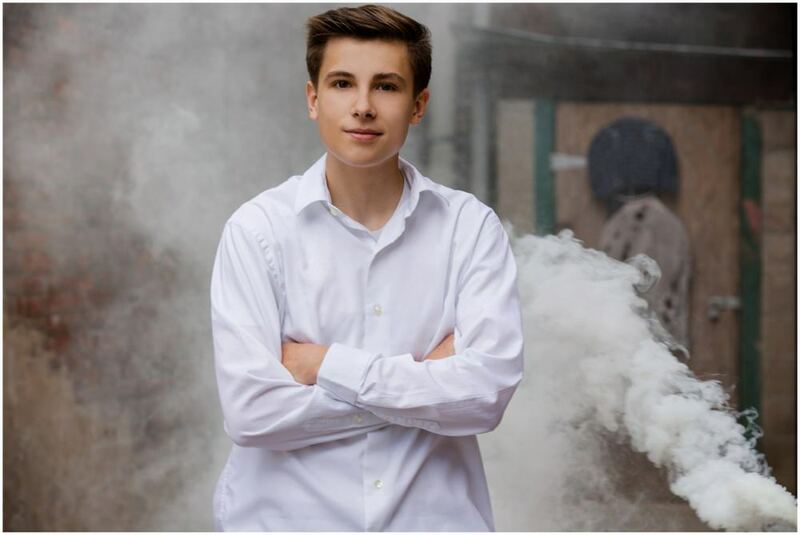 Make sure that your senior portraits are a reflection of you! As a Midwest high school senior, this exciting time in your life should be preserved for years to come. Don’t settle for a standard background! 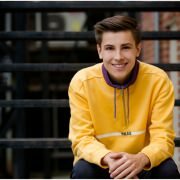 Together we can find the best locations around Eau Claire and Chippewa Falls to make your senior portraits unique. If you’d like to schedule your own senior session, make sure to contact me and we can talk about how to make your images a reflection of you. 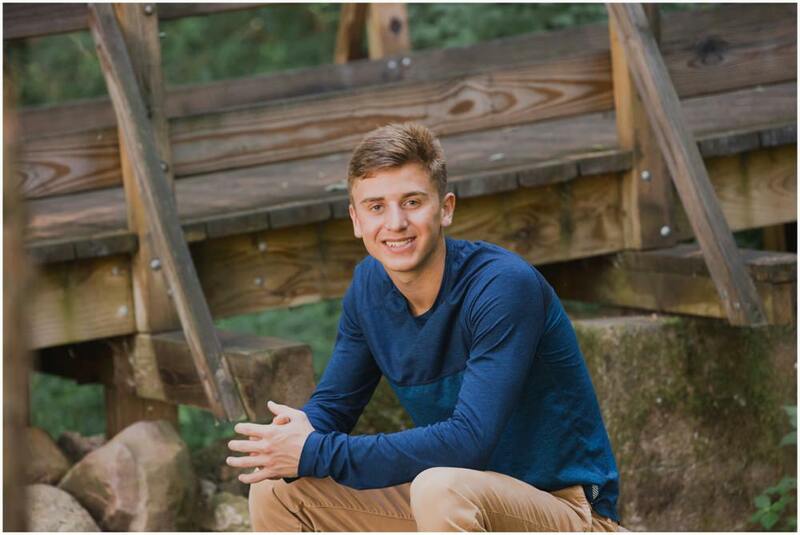 Today’s featured senior is Jarrod! 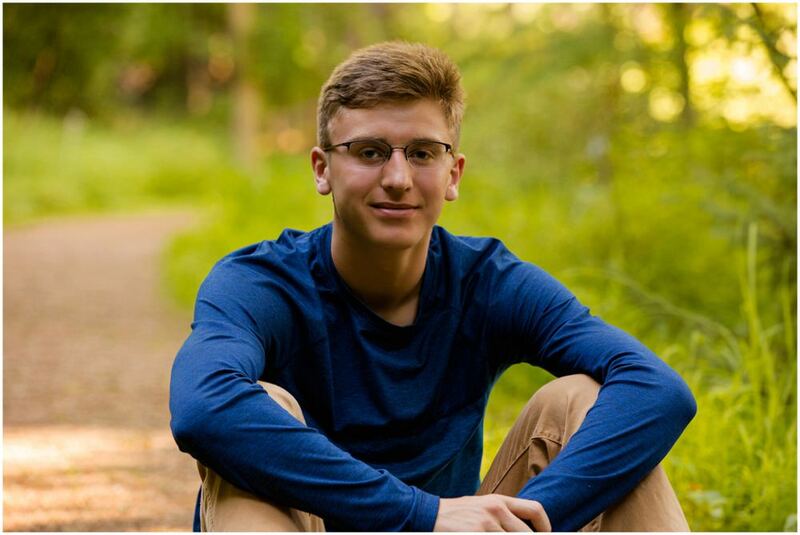 I met up with Jarrod for a senior portrait session in and around the Chippewa Falls area. 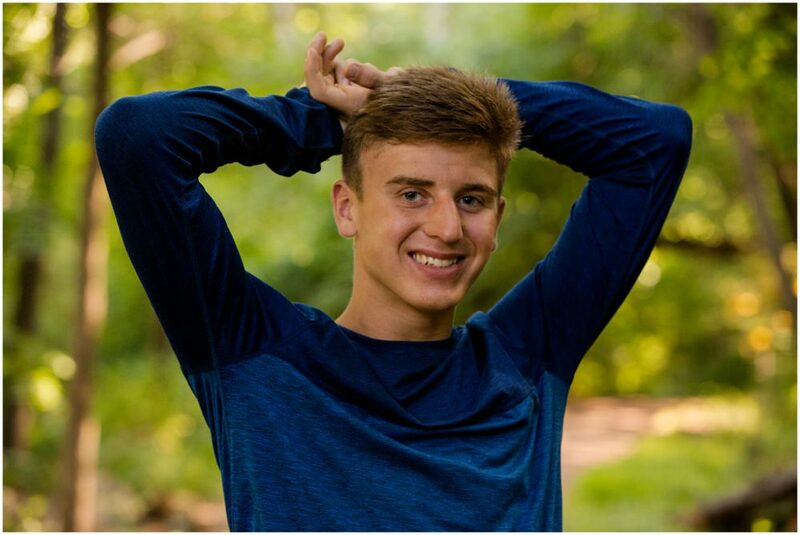 Jarrod opted not to have a meet and greet ahead of our senior portrait session, so I met him for the first time on the day of the shoot. I loved getting to spend time with him and get to know him. 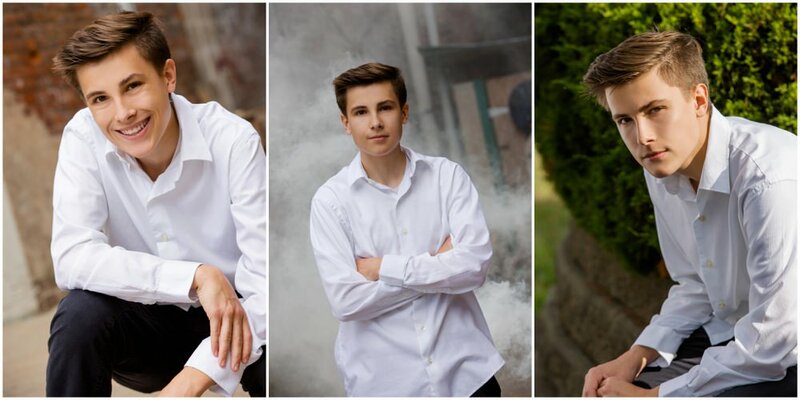 For a gentleman who didn’t really want to take pictures – he rocked his session and had some great portraits created. 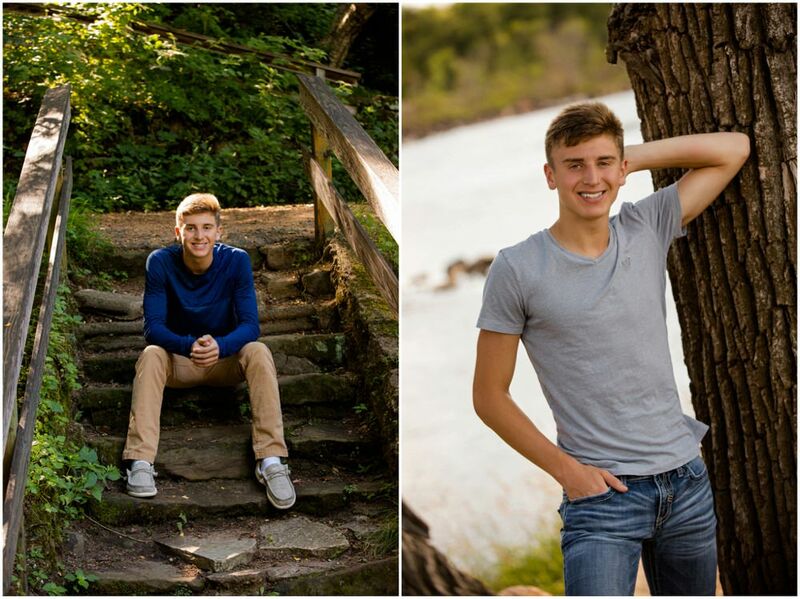 Every senior and every senior session is different. So we took our time wandering around Chippewa Falls taking pictures. 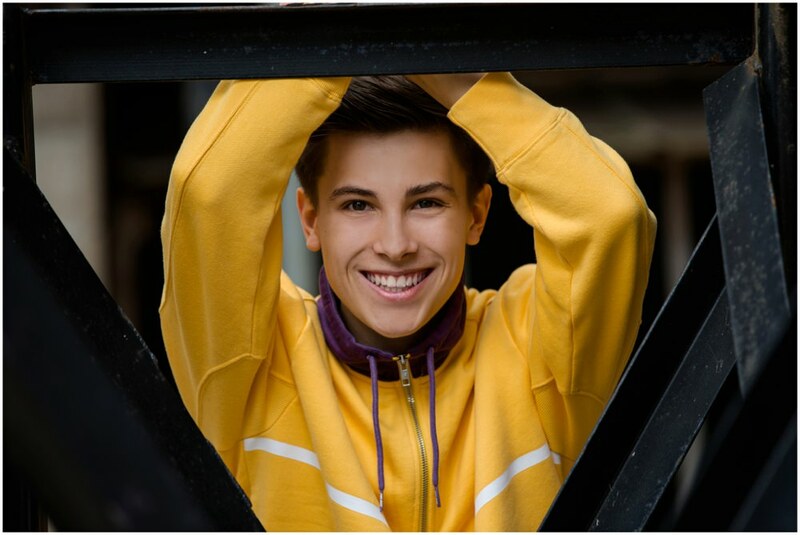 These portraits ranged from more serious pictures to some more fun shots, where Jarrod’s smile really lit up the whole image. 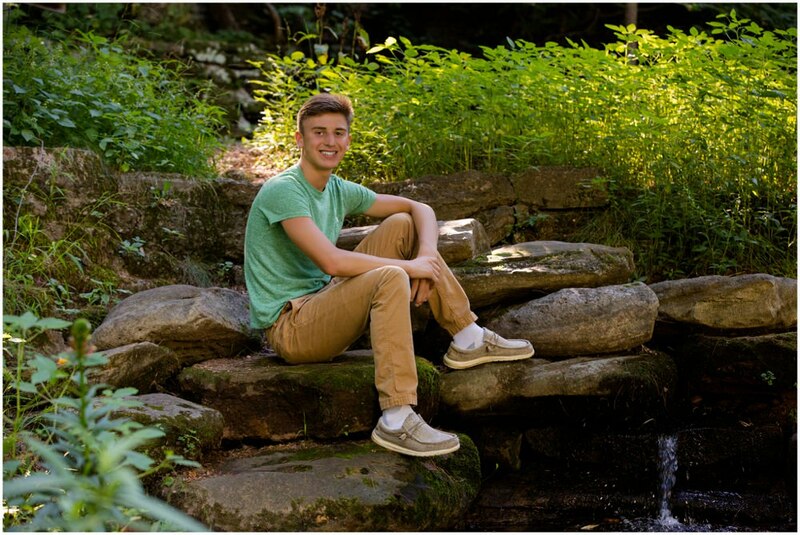 Jarrod also admitted having a senior session was more fun than he thought it would be. As a senior photographer, that’s always my goal! 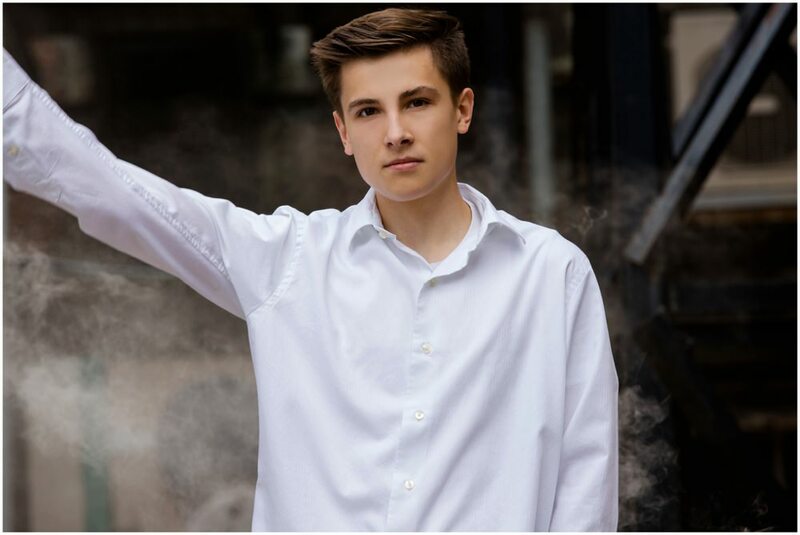 I want you to have fun during your photography session! 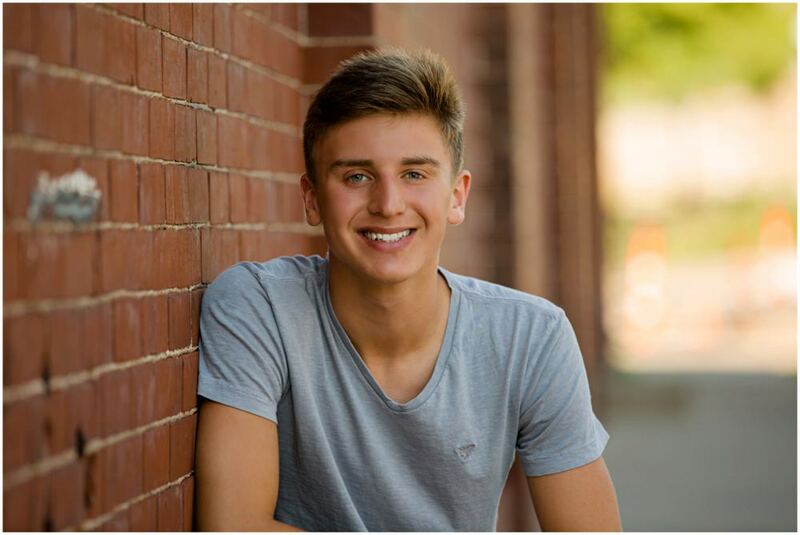 Jarrod says the most enjoyable thing about high school was being able to hang out with his friends. While growing up, he wanted to be a pilot because he thought that would be cool. 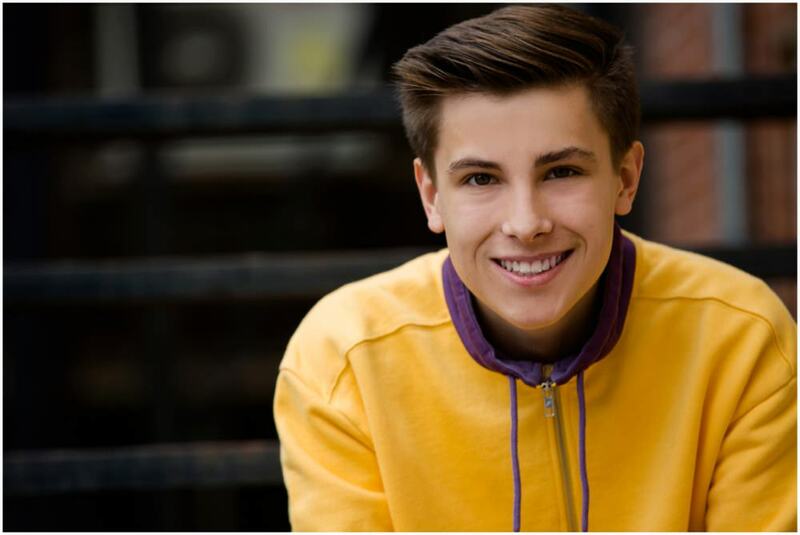 But now, he is working towards a career in architecture or mechanical engineering. He likes to design things and see them built. 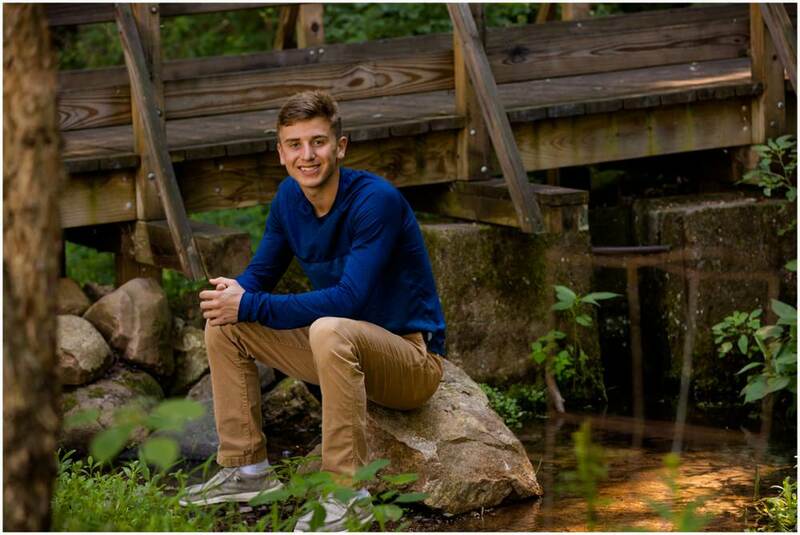 He plans to attend the Milwaukee School of Engineering here in Wisconsin in pursuit of that goal. 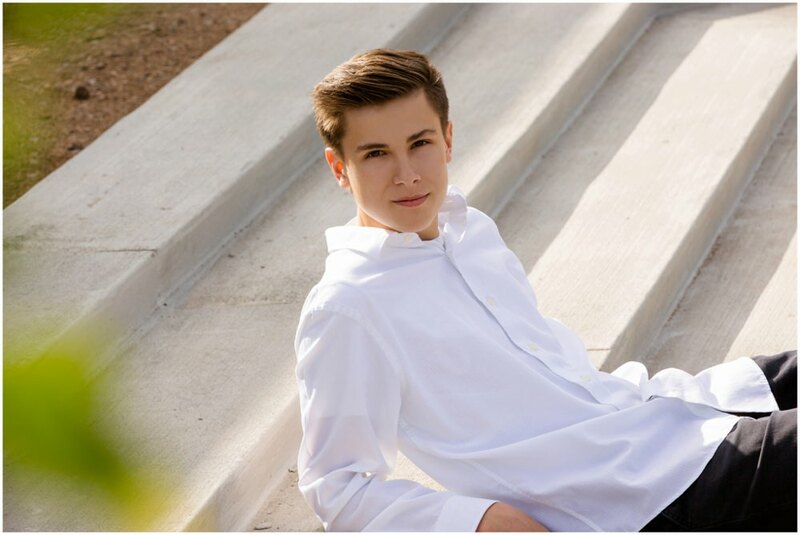 While his favorite color is black, he wore a few different colors during his portrait session as well as a sharp white button down for a more professional look. 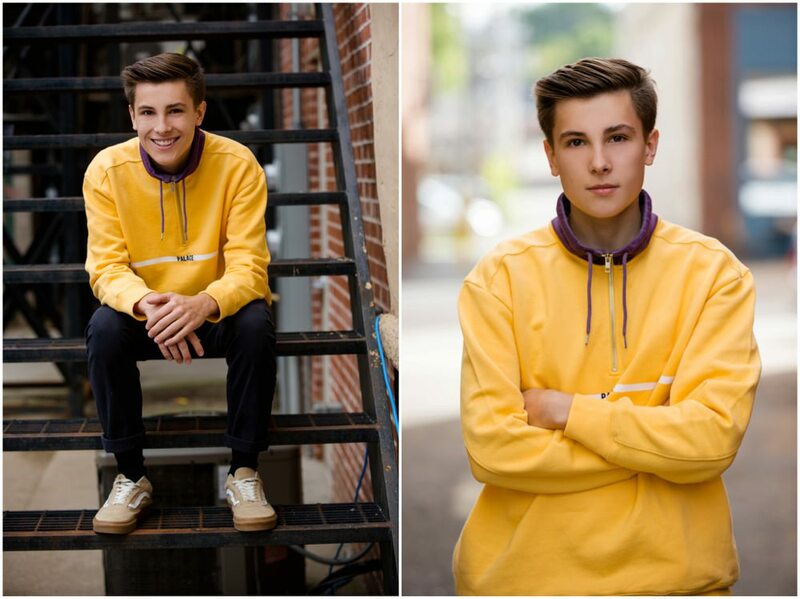 Thank you, Jarrod, for asking me to be your senior portrait photographer. 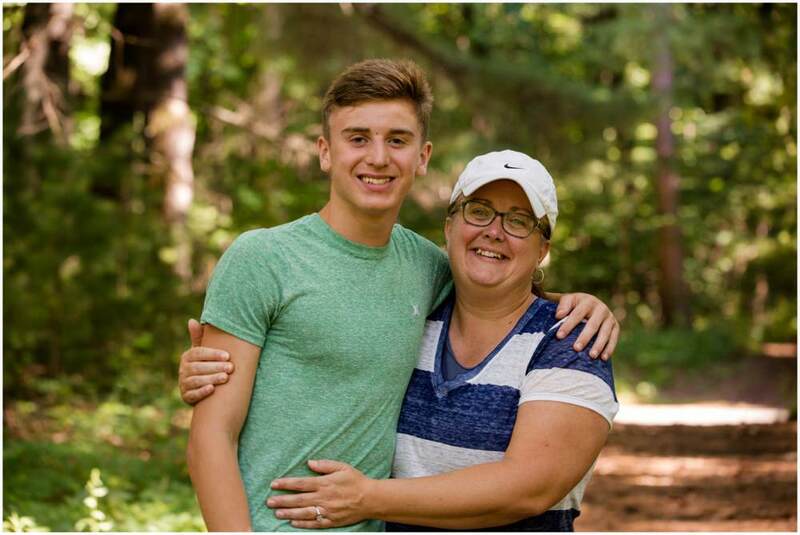 I am sure you’ll build and design great things in your future and I wish you the best of luck at MSOE! 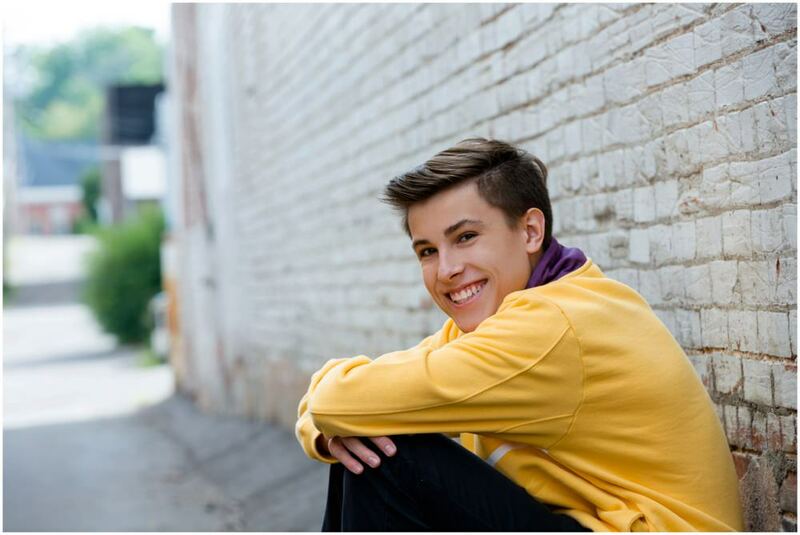 Make sure that your senior portraits are a reflection of you! As a Midwest high school senior, this exciting time in your life should be preserved for years to come. 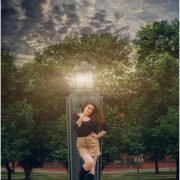 If you’d like to schedule your own senior session, make sure to contact me and we can talk about how to make your senior photography session as unique as you are. Sessions book quickly, so don’t delay to make sure you can get your portrait session done in time for the holidays! I met up with Naomi and Ryan just recently to photograph their engagement session all around downtown Eau Claire. After Tiffini and Dan’s destination wedding in Mexico, I had an opportunity to meet up with them for a post-wedding day underwater Trash-the-dresss mini-session. When we met up at the resort, I asked if they were down for doing some underwater pictures in the pool. At first, they were a little bit hesitant, but they decided to trust me and I am thrilled at the resulting images. Tiffini put on her wedding dress and Dan put on a button up and we headed out on a post-wedding adventure to capture some moments of the two of them—now as husband and wife. 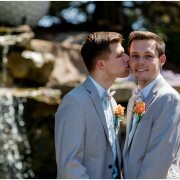 As a wedding photographer, I am always after creative, unique ways to create memories and moments for my couples in their photography. So, when Tiffini and Dan agreed to some underwater images, I knew it was going to be a session to remember. We discussed what to expect and made a plan as to what we would try to accomplish and agreed on ways to communicate under the water using hand signals. Because a wedding gown can get very heavy when it gets wet, it was important for us to plan beforehand in order to keep Tiffini safe and comfortable. I’ve done a number of these underwater sessions and every time it’s a blast. It’s something unique… something different… and something that very few photographers do. I’m one of those photographers that chases after unique and different ideas to create jaw dropping moments. But I wouldn’t be able to do it without the trust of my couples. I’m always thankful that my couples put their trust in me to deliver gorgeous, creative wedding photography. 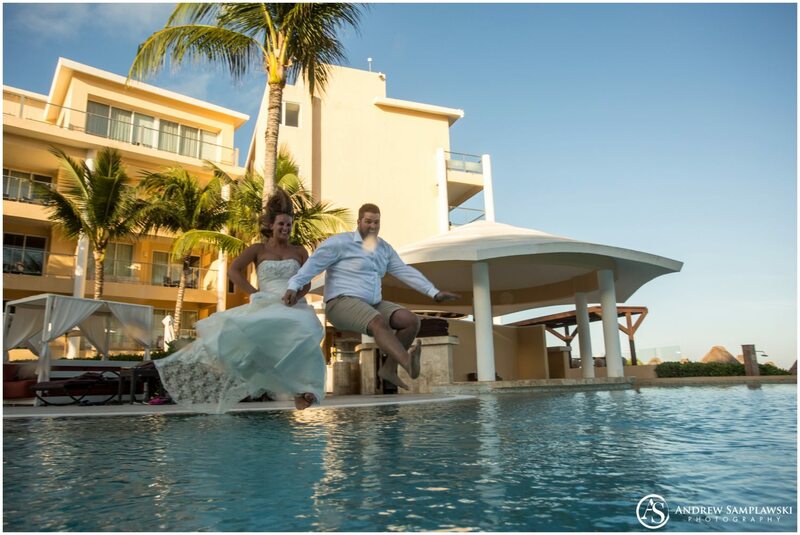 My favorite moment was the image of the couple as they jumped into the water. It was a great capture, a one-time shot. Too early and the joy and excitement wouldn’t have been there. Too late and they would have been in the water. I got them at just the right moment, with smiles of giddy glee as they jumped into the water. Just like that moment when they “took the plunge” and said “I do,” they had such an amazing look of exhilaration in their eyes. We came, we saw, we conquered. I loved the way this mini-session turned out. Every single image is filled with grace and drama. I chose to share most of these photos in black and to highlight the emotions, movement and striking imagery. Black and white images are liberating, because it’s just a single moment captured in time. The love Dan and Tiffini have for one another is absolutely beautiful. Thank you so much, Dan and Tiffini for trusting me. I am thrilled with the images from your underwater mini-session. I can’t wait to share your destination wedding images in an upcoming post! As a wedding photographer, one of my favorite things to photograph are the rings. Capturing this symbol of love and commitment is so powerful. Every set of rings, like every love story is different. Blue Nile Diamonds have been working towards streamlining the process of designing and purchasing an engagement ring as unique as your love. Once you have that ring, what’s the best way to preserve it in photography? In this post, I wanted to share some best practices on how to be prepared to show off your engagement rings and wedding jewelry during engagement sessions and your wedding photography. There are so many clichés when it comes to talking about diamonds. Diamonds are a girl’s best friend. Diamonds are forever. Diamonds have become a symbol of light, of purity, of endurance. Wearing a diamond continues to be a symbol of commitment and love. In recent years, the diamond industry has fallen on criticism of how diamonds are mined and obtained. This has brought about an evolution of additional gemstones, synthetic diamonds and other ways to display love. No matter what kind of stone is in your ring, including your wedding jewelry in your engagement sessions and wedding photography are very important to me! Engagement sessions are such a sweet time for couples. Your love shines through in every smile. And, of course, that new engagement ring shines, too! During an engagement session, I try to make sure to capture shots of your engagement ring in a candid and unobtrusive way. When you’re both holding hands as you walk, catching that hint of sparkle. As you kiss, your hand upon your partner’s shoulder. During your poses, I try to make sure that ring is visible. 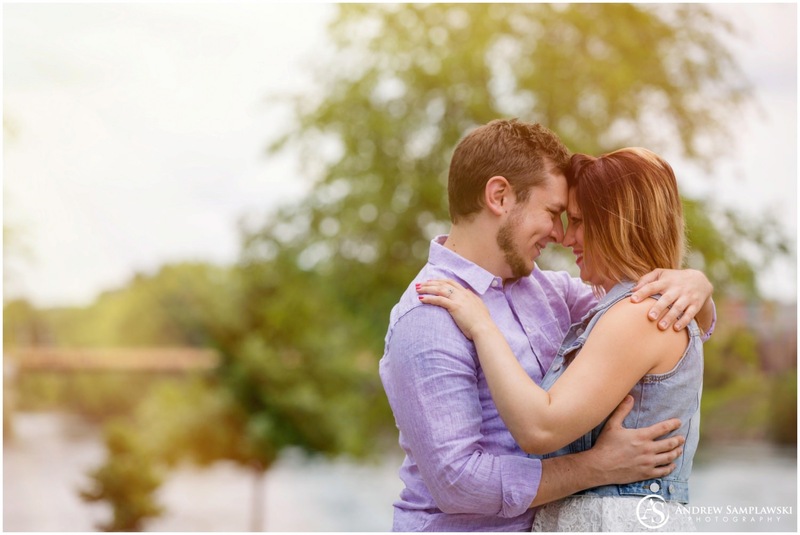 Engagement sessions are a way to have fun and for me to get to know you as a couple, so I always enjoy these sessions. When it comes to jewelry, I encourage couples to wear the accessories they usually would. If a bride-to-be wears additional rings on her hand, she should continue to do so! There’s no need to be too fussy. For engagement sessions, I love when my couples can just relax and be themselves. On the wedding day itself, the ring shots are so important to include Because of that, make sure to be prepared! 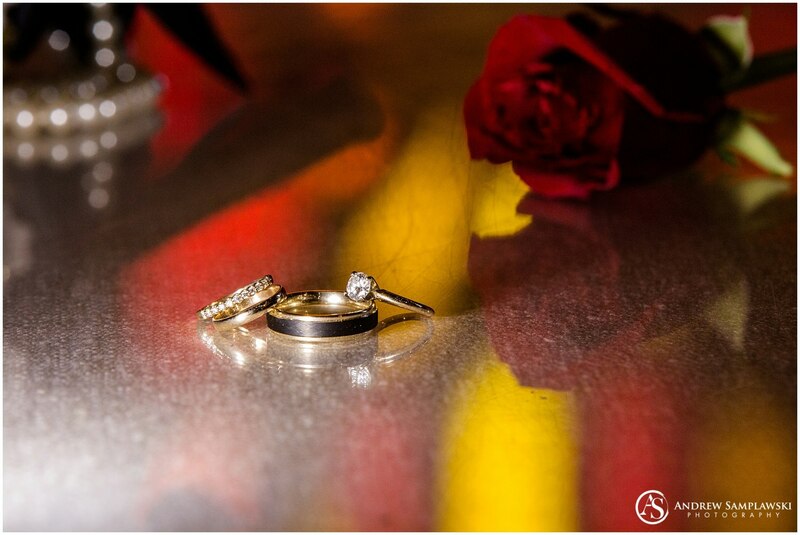 When couples are prepared, it makes photographing the rings and the details a breeze! Here are some tips towards being prepared. Ideally, the detail shots will be captured while the bride and bridesmaids are still getting hair and makeup done. Get your rings cleaned before the big day. A good rule of thumb is to ask the jeweler to clean the engagement ring when you pick up your bands. Make sure that stone shines as brightly as your smile! Have your engagement ring, wedding band, and husband’s wedding band together. Make sure to designate one of your wedding party to hold onto them. Put that Best Man or Maid of Honor to work! 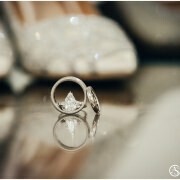 Make sure the rings, the bride’s shoes, the bridal gown and any accessories the bride and groom will wear are together. This makes for awesome pictures. If you like, include copies of wedding stationery: the invitation, RSVP, any other interesting paper that was meaningful to you—especially fun if it all supports your theme. Make sure anything else important to you, your day or your story are handed over to the photographer. You’ll get it all back—promise! These images don’t take long if everything is ready ahead of time! The ring photographs are a wonderful way to add personality to your wedding images. I love tying in details that are unique to the couple, so the result is that no two ring images are the same. Whether the rings highlight an important psalm or prayer, nestle into your wedding bouquet or complement your shoes, these photographs are all based on my couple’s wedding day style. However you show your love and commitment to each other, make sure it is included in your wedding photography. Whether the stone on your engagement ring is amber, emerald, diamond, ruby, amethyst, sapphire or opal, the fact that it is a part of your love story is the most important thing. Make sure it is captured in your wedding images.